Mum of Five Staying Sane: Days out with the children over the Christmas holidays. Oxygen Freejumping trampoline park is the place to be! Days out with the children over the Christmas holidays. Oxygen Freejumping trampoline park is the place to be! This year the Things finish school on Friday 16th of December so we have a full week before Christmas to keep them occupied whilst they are excited about Christmas arriving. 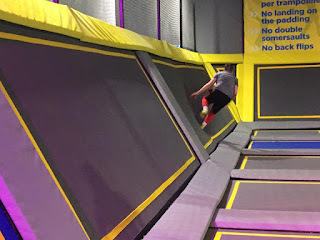 It's sometimes difficult to fill the days with things to do as the weather turns cold but we recently visited Oxygen Freejumping trampoline park and it's perfect for a festive fun family day out. Part of the interconnecting trampoline area. So what’s special about Oxygen Freejumping trampoline park? 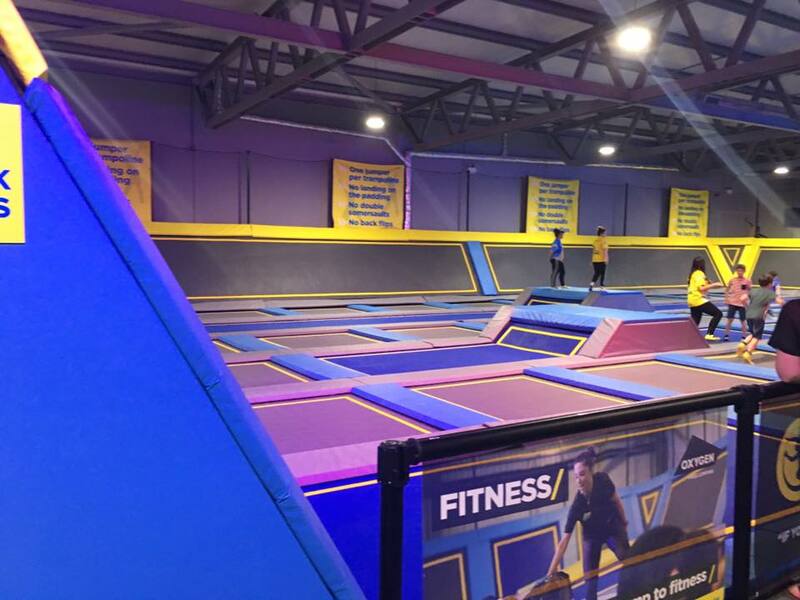 They’ve got 150 interconnected trampolines for you to explore, a mega airbag to practice your moves, performance trampolines so that you can gain some serious airtime, dodgeball courts to challenge your friends, a super squishy foam pit to leap into and lots more activities to get you bouncing! 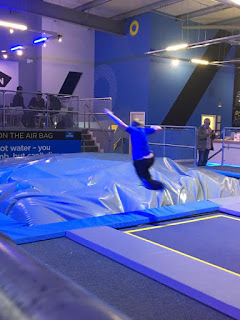 We visited the Oxygen Freejumping trampoline park in Southampton and they also have sites in London (Acton), Leeds, Derby. Manchester, Wigan, Croydon and Sheffield. The Things absolutely loved the trampoline park. 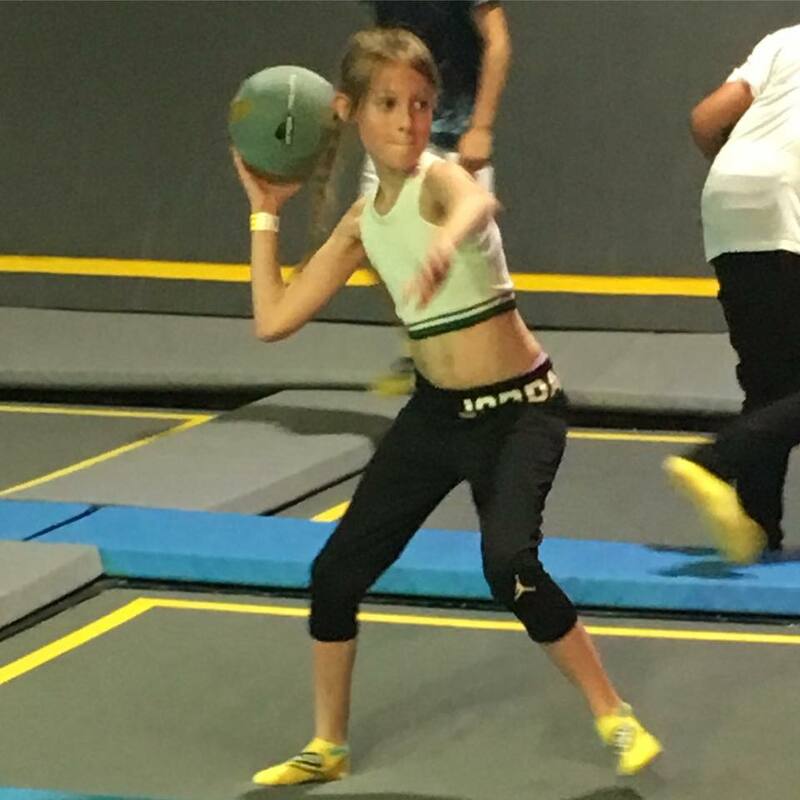 You book for an hour and have full use of every part of the trampoline park. Whether you just want to bounce around the interconnecting trampolines or throw yourself onto the airbag to show off your unique moves. After around half an hour of trying out the trampolines we lost Thing 3 and 4 to the dodgeball courts and they loved it. There was a Oxygen Freejump employee in situ and who also joined in. There were 16 trampolines in all and each person kept to their own trampoline. The children played against other children and there were some adults in there too but they kept to one half of the trampolines. We had to drag the children out at the end of our one hour session! Thing 3 enjoying the dodgeball area, watch out! 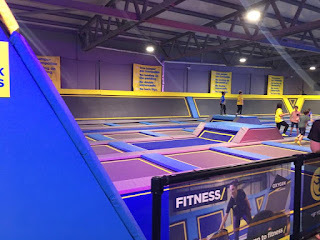 Thing 1 enjoyed the interconnecting trampolines which cover the floor and also some walls so you can jump upwards, sideways and just keep bouncing for a whole hour. They also loved the airbag, although Thing 4 was a bit apprehensive but after his first go he was happy to queue up for more! Thing 4 flying into the airbag. Once he had tried it once he went back again and again! Each freejump session runs for an hour and costs £10 per person with £2 for trampoline socks too. If you want a longer bounce time just book consecutive sessions. 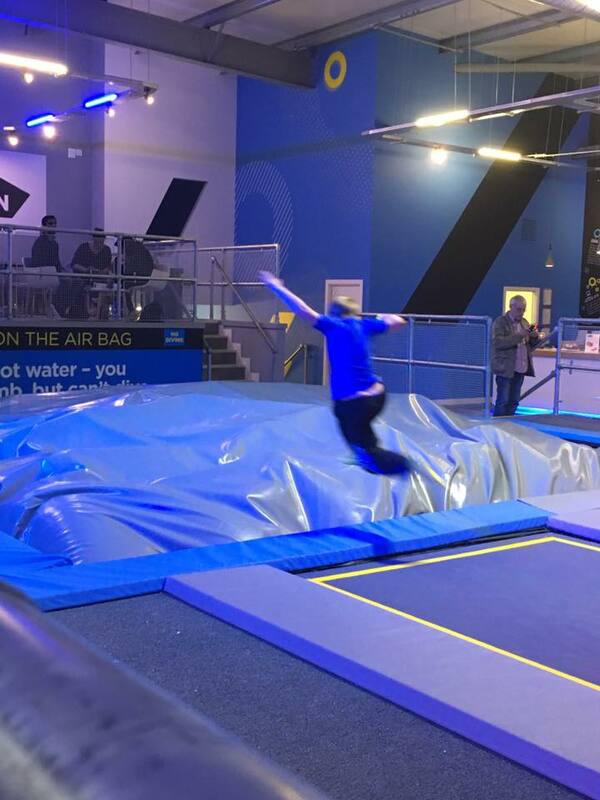 The Oxygen Freejump park in Southampton is open over Christmas excluding Christmas Day only, do check other parks opening times before travelling. They also run Little O's sessions for the younger visitors, Dodgeball Nights, Student Nights, Fitness and Peaceful Play (Autism and Disability Friendly sessions). You can access a full timetable on their website to see when each session runs. Check out the Oxygen Freejumping website for a list of parks, activities, booking slots and opening times. There is also a visit to Santa's Grotto that you can add on to your freejumping session. 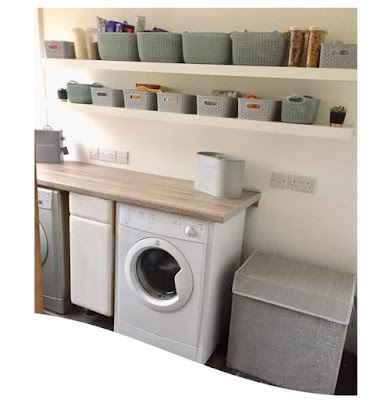 See the link for more details. So what are you waiting for? Get booking for a bounce, book for the family or book for the children (freejumpers aged over 5 can jump unsupervised), grab a coffee and 5 minutes peace from the festive chaos and book a visit to see Santa whilst you are there too.